One of the most identifiable of Usagi’s character traits – if not the most identifiable – is her signature hair style. 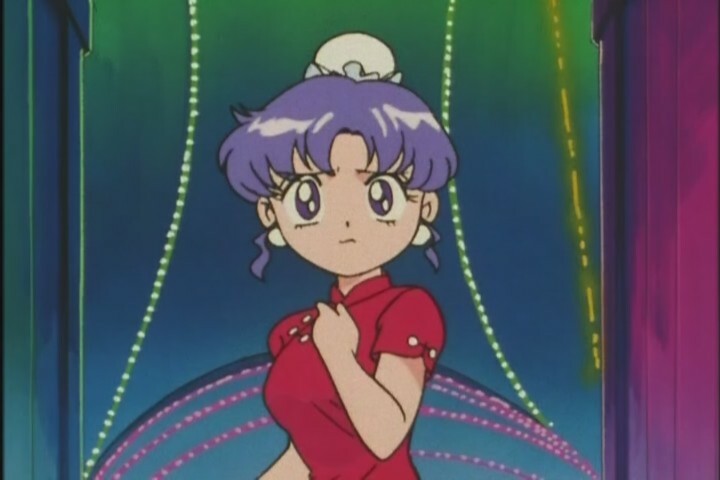 It’s what earned her Mamoru’s teasing nickname お団子頭 (odango atama; or “meatball head” in the DiC dub) and led to multiple important elements in the series, from her hair decorations to ChibiUsa’s rabbit-inspired modified hairstyle. But what was the inspiration behind giving her that hairstyle in the first place and was there any other precedent for it before Usagi came into the picture? There’s surprisingly more to it than you’d imagine! Before we get started, we need to break down the elements of Usagi’s hair into its two main components, which are often mistaken as one related hairstyle: the odango and the twin tails. Both of these hair styles are prevalent in Japanese anime and manga (though odango not so much in real life, it’s definitely not unseen or unheard of). I’ll explain the details of both as we go, but I apologize for just throwing terminology and foreign words left and right. Back in university before the manga was in print, I used to leave my house like this. I tied it back with a rubber band and randomly twisted it up together. 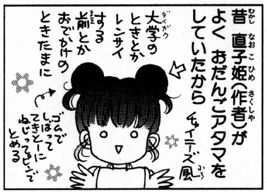 So the simple answer is that the inspiration for Usagi’s hairstyle comes from how Ms. Takeuchi used to do up her own hair in university. But as we’ve come to learn, the simple answer isn’t always all there is to the story. Namely, you’ll notice that she mentions that it was a “Chinese style” that she was imitating. In fact, if you take a look at the portrayal of Chinese characters in Japanese anime, manga, and video games, you’ll run across this hairstyle quite often. Much like the well-known “Chinese dress,” it’s become something of a staple for Chinese female characters in Japanese media. So, what is it about this hairstyle that makes it so intrinsically Chinese? Well, like the aforementioned Chinese dress and Chinese fortune cookies… nothing. That’s right, according to a Japanese blogger on Chinese otaku culture,2 the hairstyle actually isn’t particularly popular in China, though it is known among Chinese anime fans as 包子 (baozi; steamed bun)3 style. Even adorable Momoko, ChibiUsa’s friend from Sailor Moon R and beyond, sports both the Chinese-inspired clothing and hairstyle. Since Ms. Takeuchi herself took a liking to the hairstyle and since it also evoked the “bunny rabbit” image without being too out-of-the-norm, it seems like it would up being a good choice for Usagi’s hairstyle, even if the name itself is a translation nightmare, since food names rarely translate well between cultures! As you’ve probably noticed in the discussion above, the odango hairstyle actually only addresses the ball-shaped bunch of hair on top of the head (and can occur individually or in pairs). However, it doesn’t have anything to do with the twin tails part of her hairstyle, or what’s known in the west as “pigtails.”7 If it weren’t for her the dual locks of hair reaching nearly to the ground, we’d be missing out on a lot of what made Usagi unique. So where did this hairstyle get its name? From here, of course. 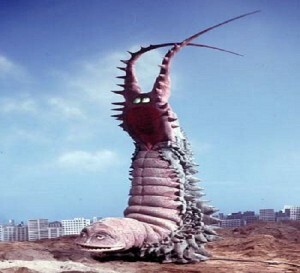 The villian/monster named Twin Tail8 from the 1971 Return of Ultraman TV series. Now how we got from this ugly beast to a popular hairstyle for elementary school girls through grown women is a bit of an interesting story. The Japanese word twin tails is what is known as wasei eigo, or “Japanese-invented English” (i.e., English-sounding words created in Japan that don’t exist outside of Japan). Other examples include office lady,9 adult children,10 and NG,11 to name a few. 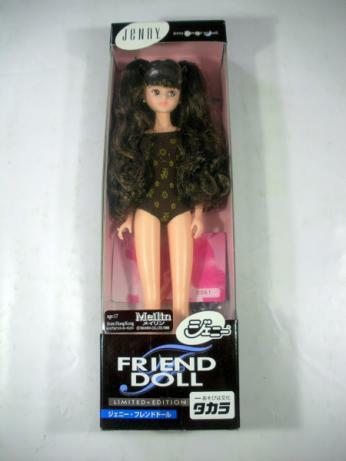 According to the blog of filmmaker Satoshi Imai,12 this name dates back to 1988 with the release of a doll named Meilin in the Jenny13 toyline. There was an independent fanclub, which Mr. Imai was a member of, that communicated over the then-budding internet and discussed the new dolls as they were released. Read also: Who Came Up With Sailor Mercury and Sailor Mars's Catchphrases? 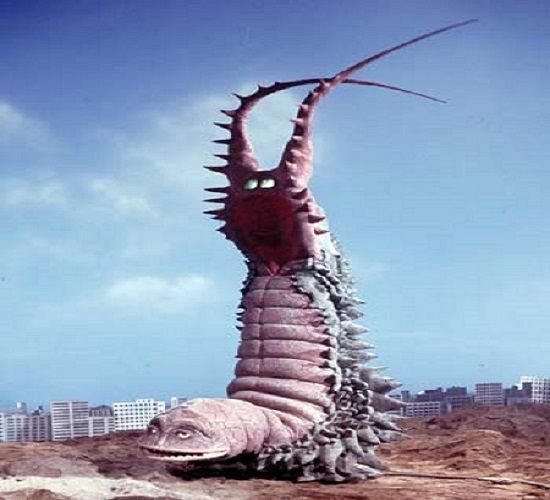 She came sporting the popular hairstyle then-known as a “two-tail” (as in, two ponytails) look, though Mr. Imai and other fans corresponding over BBS started to refer to it, in reference to an old childhood favorite show Return of Ultraman, as the twin-tail look, referring to the monster that had two tendrils/tails sticking out of its back-end, which it kept elevated in the air. Though the background behind the term has slowly faded and the word is used normally in casual conversation and fashion magazines, just as “pigtails” is used in the west without much thought toward pigs, it is interesting to note that while a quick google search for “Sailor Moon” and “twin tails” in Japanese will yield nearly as many results as odango will, according to Mr. Imai14 her look was referred to by fans back in the 1990s purely as the odango style and wasn’t yet associated with the twin tail look – a fashion that picked up later on. 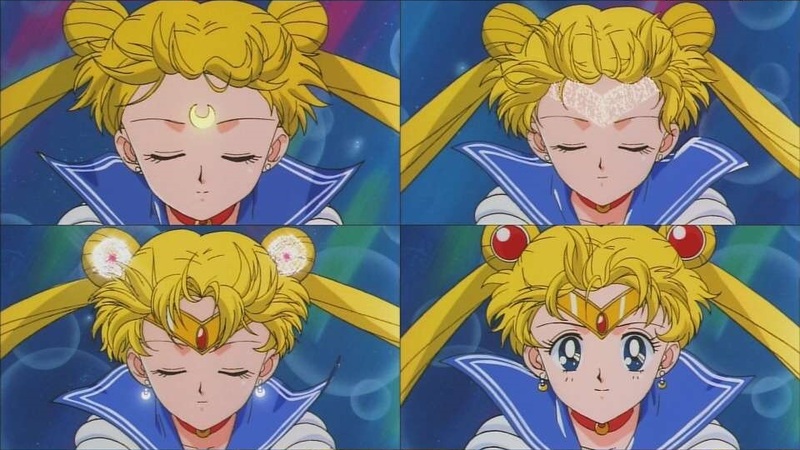 And there you have it, for more than you ever thought you could want or need to know about where Usagi’s hairstyle came from, its roots (if you’ll pardon the pun), and how the understanding of it has changed over time. Now, if only someone would explain how ChibiUsa can get that perfect cone shape! 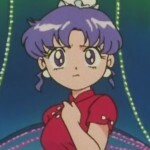 ← How Did the Sailor Moon Cast’s Popularity Differ in the Anime and Manga? Nope! I definitely remember seeing that a lot in fanfiction and other fan sites back in the old days! I would be more interested in the SM genetics that give a pink-haired daughter to a blondine and a dark haired one. And did the Neo Queen and King start dying their hair or what? Why could Usagi and Mamoru get only one child? Have you ever heard any theories about it? Only one possible heir to the throne may stop sibling wars about the throne, but is a quite risky approach as our politicians should see in 20 years or so. The poor woman who is going to marry the prince one day. She’ll cave in under the pressure. As for the hair colour change for King Endymion and Neo Queen Serenity, I believe it happened when Usagi essentially ascended to the throne and inherited the perk of extra-long life, due to the crystal. And, as she loves Endymion and their daughter, they also share the benefit. I don’t remember if it’s canon or not, but I remember reading there can be only one child born to the Moon queen. Which is one reason many consider Parallel Moon to be non-canon. I remember hearing this before as well, but I don’t actually remember ever seeing a reference to where that came from. If anything, it would have been from the Dream arc in the manga. I’ll need to take a look! I’ve been wondering about it, too. I read it a lot but never knew where it came from. I could only imagine it’s from the fact that Small Lady never got a baby brother or sister to play with in 953 or so years. And when Chibichibi turns up, Ami and Co. speculate it’s some baby sister. Then Luna, I think, said something in the lines of No, the Queen has only one child.